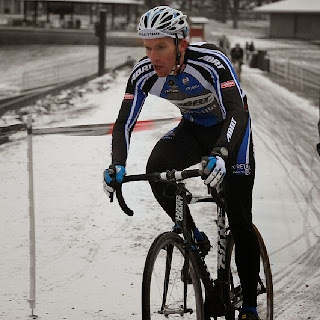 This weekend of training was fun.....with the final 'cross race of 2013 at Capital Cross on Sunday, I decided to warm-up for that by racing a couple of 5km's on Saturday, yes, a couple of 5km's! Last year I raced (and won) the Edgewater Fitness Reindeer Run 5km and the Southern High School 5km and they were on consecutive weekends. The way it fell this year they were both on the first Saturday of December...what to do? Why not try and race both as they are close to each other and start an hour apart. The first one at Edgewater Fitness 5km kicked off at 800am so that was first up and I was able to win that in 16mins 58secs, fortunately being able to cruise the last mile and save some energy. Apologizing for not being able to stay for the awards I jumped in the car to head off to the Southern HS 5km. Just a few miles up the road I got there with 20mins to spare, a quick cool-down/warm-up and we were off. This time I took the first half-mile easier before settling in. I won that in 16mins 57secs, mission accomplished, two races, two wins. Both times were slower than last year by about 30secs but for two in an hour I'll take that. 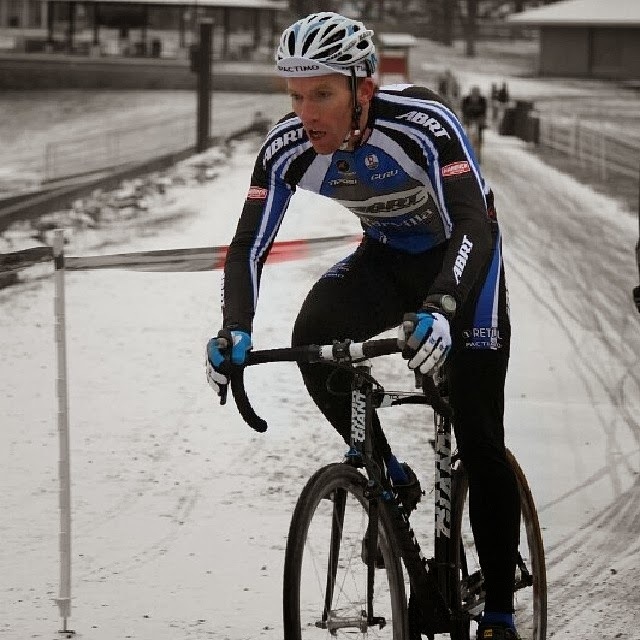 Sunday was the final cross race of the season and it's been so much fun, I am already looking forward to 2014. During the week my upgrade to Cat 3 had been approved so I only raced the Cat 3/4 Masters, four in a weekend would have been too much. Snow was in the forecast and it didn't disappoint. As we parked at the race the snow started to fall and it wasn't long before the whole course was covered.....but boy was it cold, sub freezing! A good day to test out all the winter clothing and the Mad Alchemy embro cream! After a quick "warm-up" lap it was pretty obvious that I didn't have tires man enough for the job of the deep mud that was parts of the course (something to note for next year is another wheelset with a dedicated mud tire). The snow was still falling as we took the start and with a brief hold at the line we were off and racing in the snow. Jeez, it was fun! 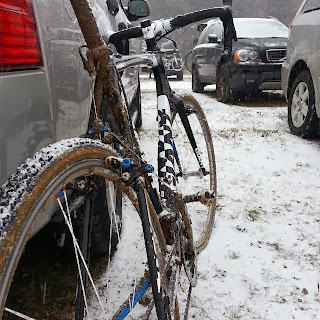 I didn't have the best race, partly due to tires but it was certainly a challenging race and I ended up in 15th out of the 90 starters (yes 90 crazy people turned up in the snow). As far as the week went, it was a very small build over the recovery week. Lots of stuff going on before our travels so training was a little lighter than I wanted.